Today’s client wants upstyles that are touchable, easy and never, ever stiff or crispy. They demand pretty shapes that can travel seamlessly from a brunch date to a coffee date to a dinner date. Body is the key component for looks like these, as well as hold that provides “grip” without crunch. Living Proof educators say the new Perfect hair Day (PhD) Body Builder is just what the hair doctor ordered—you can actually dial it up or down depending upon the amount of body you need! 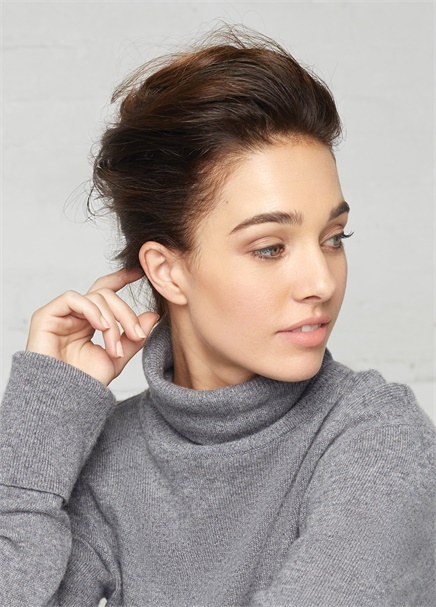 Here are two full, feminine and flattering upstyles, perfect for the holiday season and well beyond, courtesy of the creatives at Living Proof. A Gibson or Gibson Girl upstyle features a bun or twist that sits slightly forward on the head, rather than on top or at the nape. It was popular around the turn of the century, but this version by Living Proof Educator Pooja Shah (@hairbypoojah) is completely at home in 2018! Step 1—Blow dry and set the hair. Section as follows: from left and right recession points to center and from center to left and right at the nape. The result should be four triangular sections—three on top and one in back. 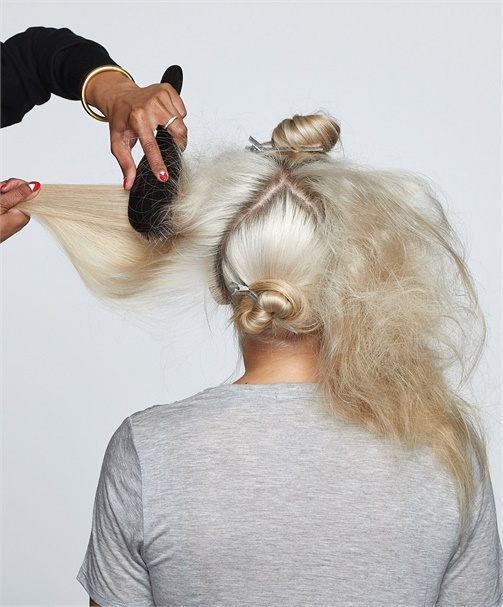 Step 2—“Lace” or lightly backcomb the side sections with a cushioned styling brush such as a Mason Pearson. Step 3—Loop four hair elastics (small to medium) together to create a quadrant hair band. Step 4—Loop the left section through the hair band and tighten, leaving the center and back free. Repeat on the right section. Step 5—Lace the bottom section and spray with Living Proof Perfect hair Day (PhD) Body Builder. Step 6—Pull the bottom section through the center of the quad hair band and tighten. Keep the last elastic out for the top section. Step 7—Lift the remaining top section at a diagonal and lightly lace the hair, little by little. Step 8—Roll the entire front section inward and forward and secure with the remaining elastic. Step 9—Gather the back section, roll it into a bun and pin to secure. Step 10—Finish with the Living Proof Perfect hair Day (PhD) Body Builder and gently release tendrils around the face to soften the look. 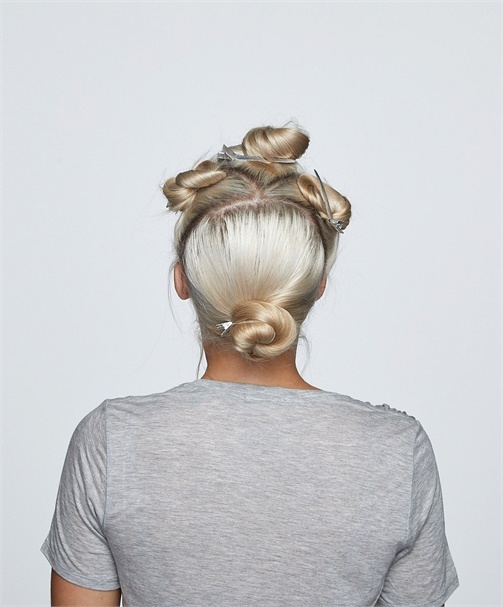 Creating an easy, casual upstyle that looks completely DIY but isn’t? That’s #updogoals for sure. New York hairstylist Sean Bennett (@seanbennetthair) nails it with this effortless twist that’s infused with volume to flatter every face shape. Step 1—Blow dry and set the hair. Backcomb each section and pin each curl into place. Lightly mist the entire set with Living Proof Perfect hair Day (PhD) Body Builder. Step 2—Release the set and lightly finger comb the hair away from the face. Take sections at the temples on each side and direct them back toward the occipital. Do not comb the hair and take care to maintain the volume. 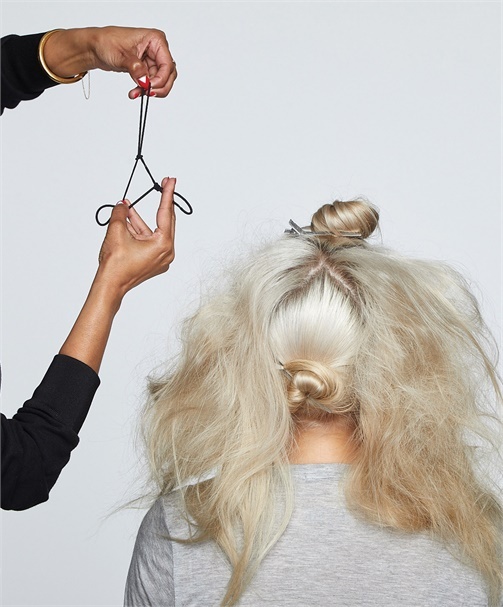 Step 3—Gather the top and bottom sections into a ponytail. 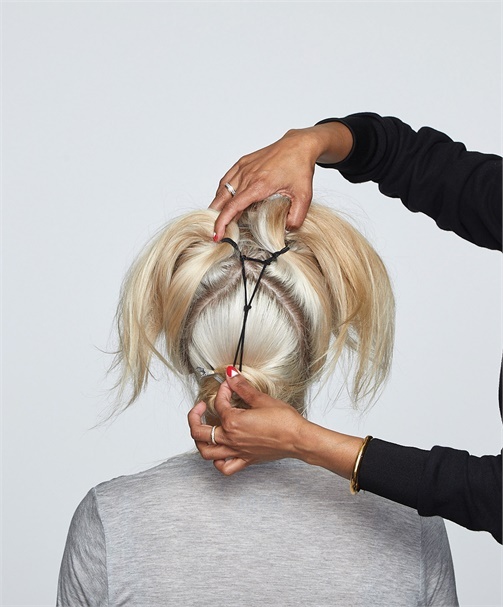 Step 4—Place one finger next to the ponytail, then twist and wrap the hair down and around the finger to form a loose twist. Secure with a bobby pin. Step 5—If necessary, anchor and refine the twist with additional pins. Step 6—Mist hands with the Living Proof Perfect hair Day (PhD) Body Builder and use the fingers to pinch, pull and refine the shape. Finish by misting the top sections with the Living Proof Perfect hair Day (PhD) Body Builder while manipulating the shape with the fingers.